Wimbley has an active imagination. He wonders about so many things. He wonders about everything from where do crayons go after you flush them down the potty to what really happens when you call 911. But his biggest wonder is how long his mother will love him. ‘Now and Forever’ she assures him! Angela has captured the questioning mind of a child. She also set this story in one week’s time so that while children wonder about things like Wimbley does, they also follow the progression from Monday to Tuesday and so on to Sunday. She voices the same worries many children have, but through this format also leaves room for children to discuss things they wonder about as they read this story with their parents or caregivers. Holly Blackman uses simple drawings that look like crayon drawings of a child to portray the childlike innocence of these questions. Wimbley’s world is easily identifiable to a young child, making the transition from his world to their own seamless. I like the connections between real-life questions young children have and the pages of this book. It is fun to read and share with a child, especially as a springboard for discussing their own worldly questions. 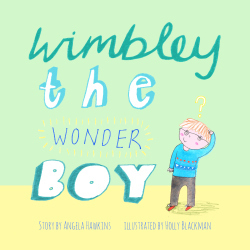 Wimbley the Wonder Boy will be available on Amazon starting Monday, November 3, 2014. If you would like to follow Angela on wordpress. You can find thislittlebirdie HERE. November is PiBoIdMo. And as writers and authors of picture books, we are being challenged to come up with 30 ideas in 30 days. This, in and of itself is a lofty goal and to be taken lightly. But I’d like to talk about what happens afterwards. Eventually we will work on developing these ideas into one or more manuscripts. This might be an easier task if we ask ourselves a few questions along the way, maybe start adding more notes to our idea pages. I don’t mean write the whole first draft, but maybe just let the editor take a peek at the idea. I think our PiBoIdMo work will be stronger for it. Should my main character be male or female? Is my main character a person or an animal? What makes him/her lovable, or at least likable? How old is my character? What unique attributes does my main character have? And how will these help him/her? How will the setting influence the character’s journey? Is the setting helpful or a hinderance? Can or should the main character alter the setting? Where will the character be at the end of the story? Is the setting an actual place or a state of being? 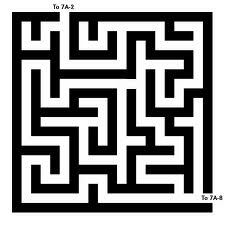 How many problems will the character encounter along the journey? 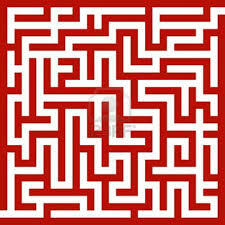 Will he/she be able to overcome the obstacles? 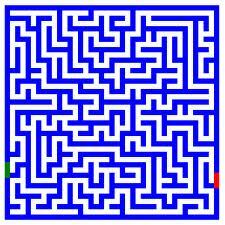 Can the main character solve his/her own problem, or will they need help? How is the character changed by facing these problems? Solutions too, can be particularly difficult. A solution can’t be so easy as to make the reader wonder why this character was so stumped to begin with. And it can’t very well come out of left field. 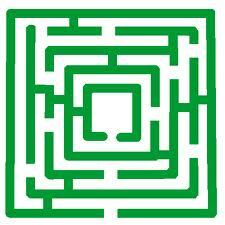 So how will I lead the reader toward the solution from the beginning? Or should it be a surprise ending? Isn’t it amazing! (pun intended) And writing for children makes every one of these choices all the more challenging. We must keep the story moving forward and wrap everything up in less than a thousand words! I found this wonderful twist on a princess story at the bookstore yesterday and had to buy it for myself and my little princesses at home. It’s written by D.J. MacHale, author of books for young adults. He is most well-known for his Pendragon series. MacHale is also a writer, director, and producers of several shows including Nickelodeon’s Are You Afraid of the Dark? The Monster Princess is his first children’s picture book. Alexandra Boiger brings this story to life with her enchanting illustrations. Lala is a gnome who lives under a tree near a castle where three little princess live. One day she takes a chance and meets the three princesses. She is invited to a fancy ball just to be teased and embarrassed by the princesses. But when the princesses run into big trouble, it’s Lala who comes to their rescue. The princesses learn to appreciate Lala for who she really is, but more importantly Lala learns a valuable lesson about being yourself. I really love this book. And I think you will too. Enjoy! 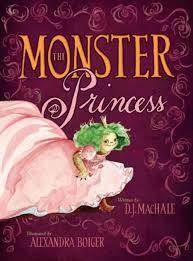 Updated News: I gave this book to my wild-haired grand daughter who loves all things princess and monster. We read it together. She was fascinated with the story and illustrations. She was sad when the princesses were mean to the monster and happy when the monster rescued the princesses. She assured me that she loves ‘grickle nuts’ too. But I think she was a little young for the moral of the story to be happy with who you are. She really wanted the monster to become a princess! Oh well for now, she is only three years old after all.